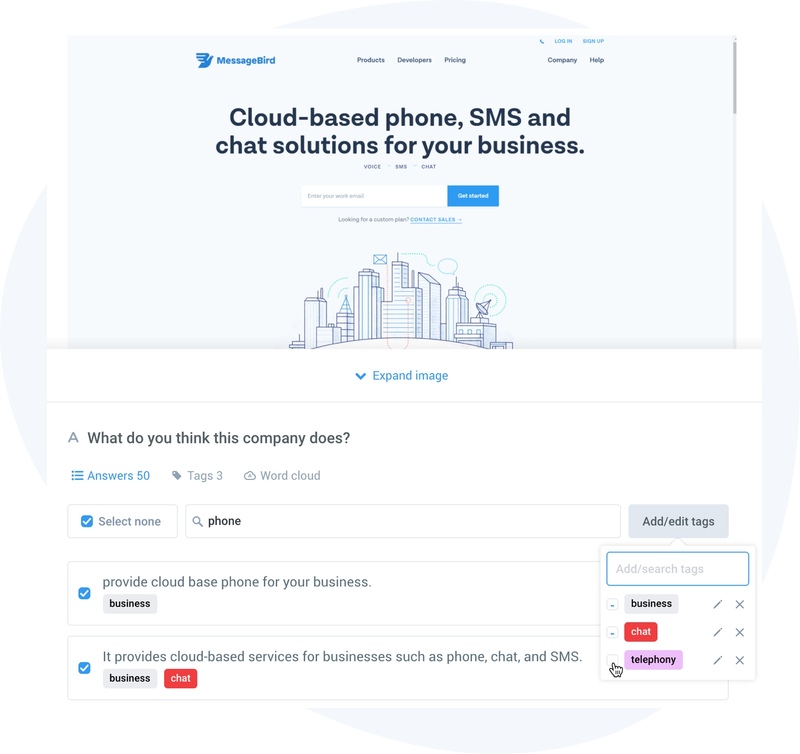 Tag, quantify and analyze open text responses to extract valuable insights from qualitative customer feedback. 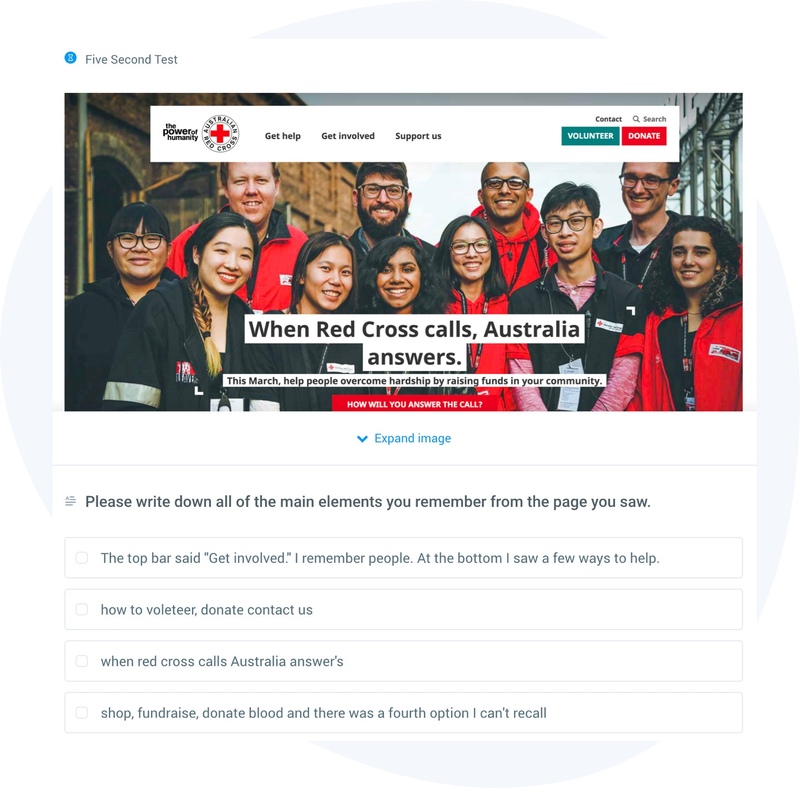 Get participants to provide written responses to questions in their own words. Then use our advanced features to analyse, filter and export your data. 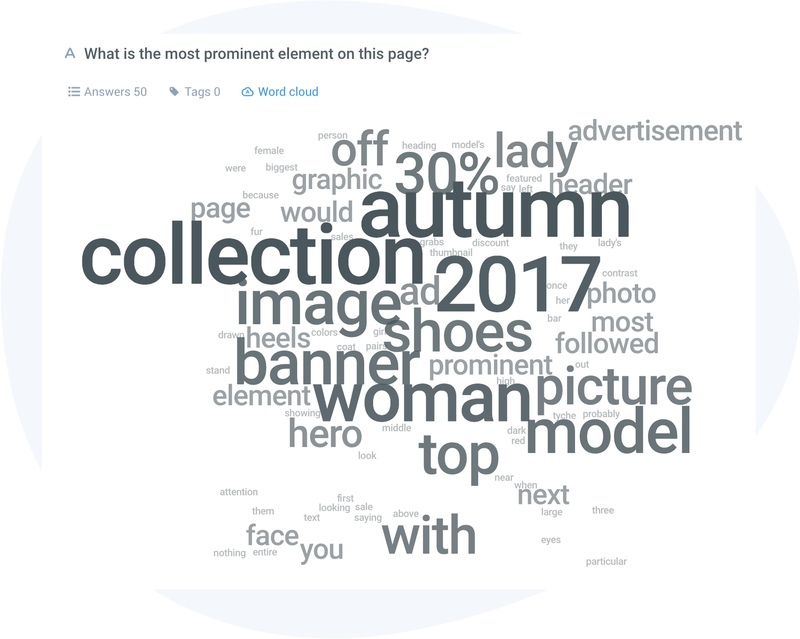 Use word clouds to get a bird’s eye view of commonly occurring keywords and use them as a jumping off point for further analysis. Use tags to identify and compare themes or quantify how many answers matched what you expected. UsabilityHub is a game changer. No project is too small or too large – their platform can scale accordingly.